Out story opens on photographer Cliff Sutherland snapping shots of the newly opened alien species museum in Washington. He relates how the now dead Klaatu and his robot Gnut landed three months ago. Klaatu is dead and Gnut hasn't moved since then. Cliff notices that Gnut has moved by comparing photos from before and after. He sneaks into a lab to try and discover if the robot has been moving at night. Cliff Sutherland is an intrepid "photo reporter" who was among the first to see the visitors. He soon gets wrapped up in discovering Klaatu's purpose on earth. As with most protagonists of this era of sci-fi he has little personality outside his devotion to the mystery which is kind of a shame. Gnut is a massive humanoid robot constructed from an unknown green metal. His actions during the night are the cause of great mystery and speculation. I really think that the author could have used some more introspection on Gnut's actions because many of them make no sense. Klaatu is a traveler from time and space. He was killed by an insane man before he could reveal his purpose in visiting humanity. Klaatu plays a much more minor role than in either of the films. This story is meant to take place in a future of ray guns and rocket ships. As such, it doesn't really vibe too well with the actual future in which we now live. It's actually kind of funny reading it now. The twist ending is not as surprising nor meaningful as the story tries to build it to be. It is interesting in a kind of average Twilight Zone episode kind of way. This story has some intriguing bits, but its age and reliance on a twist ending make it weaker than it could have been. It did go on to spawn a great move, so I suppose it has that going for it. 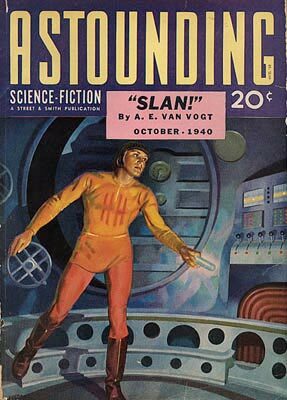 Check this out if you enjoy decent golden age science fiction. Oh, and it's free! See you tomorrow for the 1951 classic The Day the Earth Stood Still.